Thursday, Nov 16 - THANKSGIVING! April 17 - FAITH (or not) & FONDUE!! August 19th - Central Oregon Great Giveaway!! 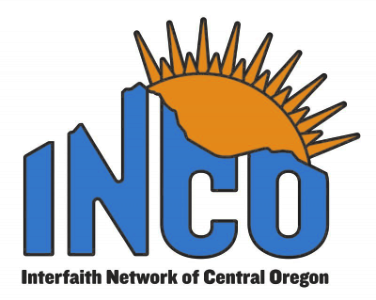 INCO is composed of diverse religious and spiritual communities, community outreach organizations, and individuals. The MISSION of Interfaith Network of Central Oregon, known as INCO, is to promote understanding and respectful relationships among diverse faith communities in Central Oregon by offering opportunities for education, fellowship, and service together and to partner with organizations with similar interests outside of INCO to carry out this mission.